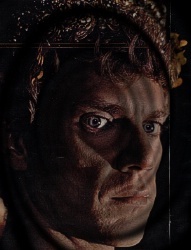 CALIGULA may very well be the most controversial film in history. Only one movie dares to show the perversion behind Imperial Rome, and that movie is Caligula, the epic story of Rome's "Mad" Emperor. All the details of his bizzare reign are revealed right here: his unholy sexual passion for his sister, his marraige to Rome's most infamous prostitute, his fiendishly inventive means of disposing those who would oppose him. The combined talents of cinematic giants Malcolm McDowell, Peter O'Toole, Sir John Gielgud and Shakespearean actress Helen Mirren, along with an acclaimed international cast and a bevy of beautiful Penthouse Pets, make this unique historical drama a masterwork of the screen. Not for the squeamish, not for the prudish, Caligula will shock and arouse you as it reveals the deviance and decadence beneath the surface of the grandeur that once was Rome. The most controversial film of the 20th century is now the most controversial film of the 21st century.